I am back with another fun project for the Tonic USA Design Team. Today, I am working with the Tonic Craft Kit 20 which features this fun 3D gift box! It’s super simple to make and perfect for small gifts, treats, and much more. 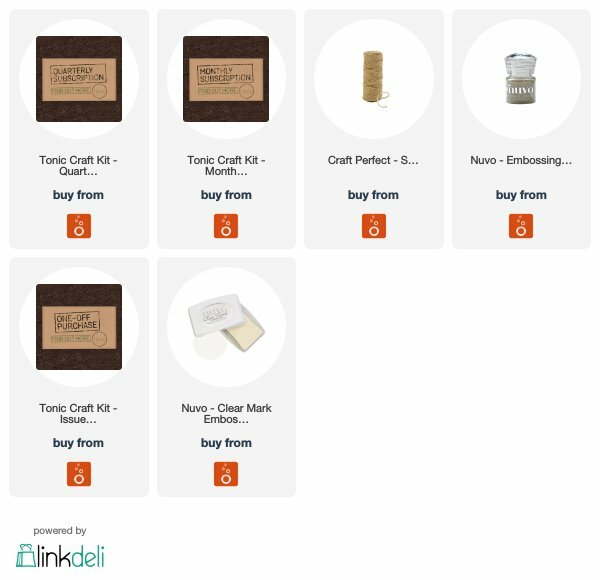 Tonic offers one-off, monthly, and yearly Craft Kit subscriptions. Each kit includes a generous set of dies, stamps, papers, and other product to make tons of gorgeous projects. Watch this gift box come together on the Victoria Marie YouTube Channel. Links to available products are posted below! Check it out!